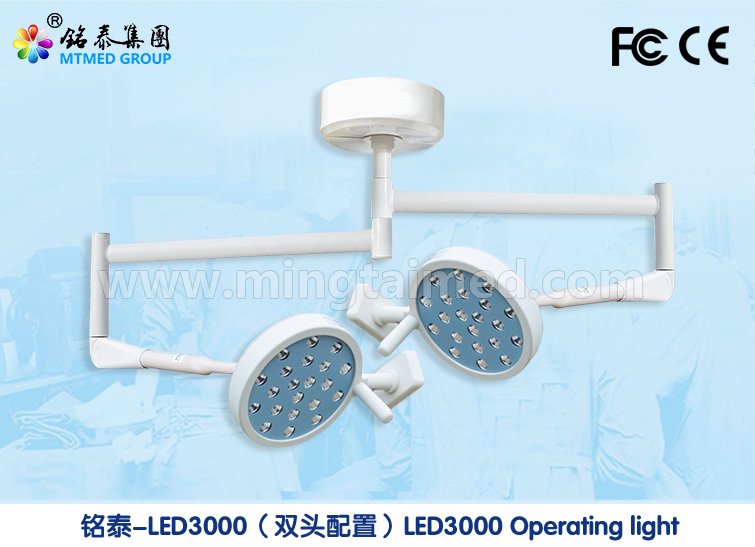 Mingtai double dome LED3000 mobile auxiliary Operating Light is applicable to ENT, urology, and gynecologic surgery lighting or auxiliary lighting, and it is the best lighting equipment. With high brightness, portability and other characteristics, it is more suitable for out-patient operating room of the emergency operations. The light head diameter for LED3000 is 300mm. Looking for ideal Double Dome Operating Light Manufacturer & supplier ? We have a wide selection at great prices to help you get creative. All the Auxiliary Surgical Light are quality guaranteed. We are China Origin Factory of Portable Shadowless Lamp. If you have any question, please feel free to contact us.